Don't miss out...these condos sell fast! Fabulous upper level condo with resort-like setting. Balcony andgreat room overlooks the pool. Two master suites with private bathroom!!! Majority of furniture will be included. Awesome kitchen withgranite counter tops, refrigerator, stove, microwave, dishwasher and ceramic tile flooring. Steps to laundry facilities, student lounge andpool. For buyer's peace of mind, condo comes with AHS home warranty for one year. Includes one assigned parking space#26. Campus Walk isaround the corner to the main gate of the UA and Main Gate Square featuring numerous restaurants, shops and the trolley to 4th Avenue anddowntown. 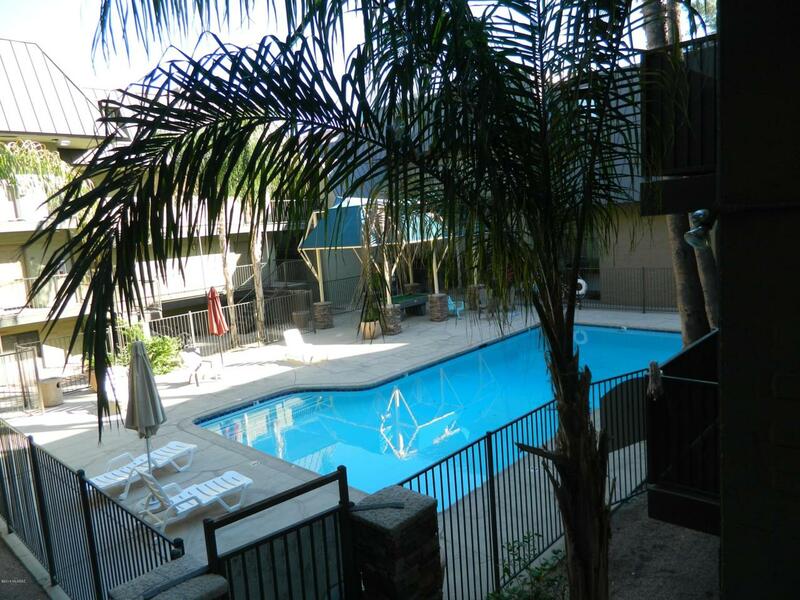 The Tucson University Park Hotel is located across the street for all your out-of-town guests.